If your medical facility is looking at ways to improve communication with your patients while cutting the high costs associated with managing interaction, consider one of the most trusted medical answering services in the country. CADUSYS has been a proud provider of professional answering services to the medical field since its inception in 1988 and is now available throughout the nation. Patients prefer leaving confidential information directly with the treating physician through CADUSYS’ medical answering services, and CADUSYS is HIPAA compliant. Your facility controls the password, making sure that data is not accessible without it; not even CADUSYS will have access to your password. - Reduce the cost of staffing through CADUSYS. It may seem counterintuitive to use a service that promotes out-of-office communications management, but the truth is that the experts at CADUSYS can better manage your calls, and for a lot less than you probably think. Your in-house staff will cost your facility in training, sick time, insurance, vacation time, IT support and in a variety of other ways. Most important, your staff is most likely not available to answer calls 24/7. - As a medical communication tool, nothing is as efficient as CADUSYS. Share information with a colleague, between referring and consulting physicians, and with all of your associates with a single message! 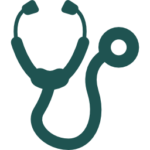 - As a physician’s answering system, CADUSYS is ideal. When after hours patients call your office, their calls are forwarded to your PVM mailbox. 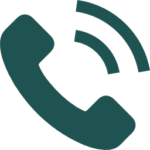 CADUSYS will process your calls and notify you in the method you prefer. 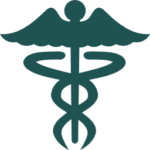 You’re going to appreciate how CADUSYS can manage your medical answering services- and you’ll love their rates. For pricing, or to speak with a specialist who can answer your questions, call CADUSYS at 888-223-8797 now. They’ll be happy to customize a communications plan that will truly fit your needs.